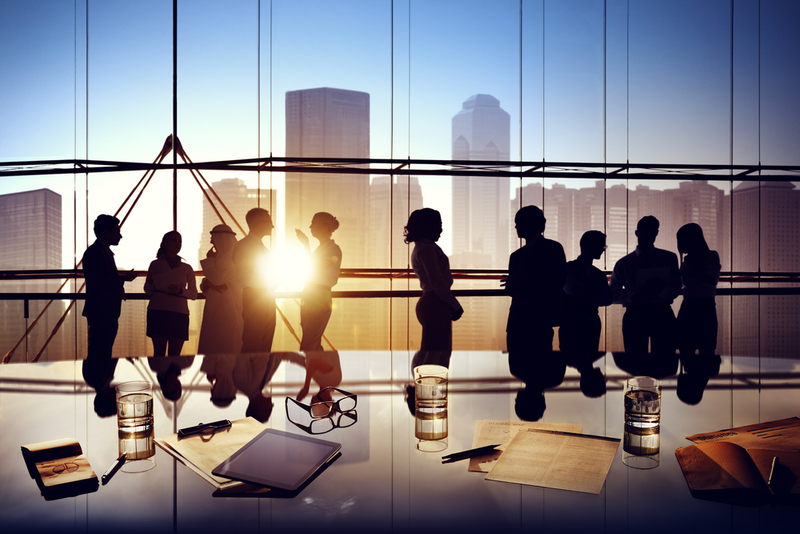 Keeping your office staff happy and comfortable is a key element in any successful business. 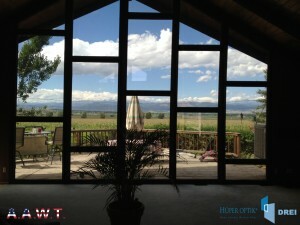 Window Tint in your Commercial Office Building in Colorado can do just that! American workers spend a majority of daylight hours at work. In many cases, we have come to think of it as our “home away from home”. The biggest difference between your home and your office is you have control over the t hermostat at home. Whereas at work, you probably don’t! 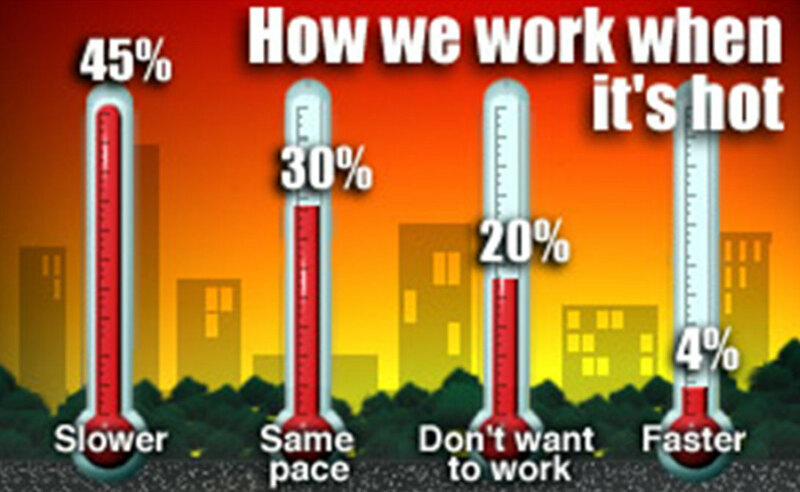 Office temperatures being too hot or too cold, can greatly affect the quality of the work your staff produces. All American Window Tinting in Colorado offers window film solutions for your Commercial office building that help keep the heat in during the colder months and heat out during the warmer months. Helping keep your work environment comfortable year round! Window film and window tint technology are not the same as it was 20 or so years ago. In the past dar k colors were added to window films to help absorb heat and damaging UV rays. Sometimes metals were added to the window tints to reflect heat and harmful UV rays. That meant if you wanted to reduce heat in your building you would lose natural light from the windows. This was counterproductive because the answer was to add more interior lighting. Which in turn created more heating issues because light bulbs generate heat. With advanced technologies window film manufacturers now use absorbing metals and materials that have reflectors we cannot see. These advanced technologies will help reduce the amount of natural light that is lost when window tint is applied. Did you know natural light and artificial lighting has a significant impact on our moods throughout the day (WebMD)? This detail is especially important in large office buildings where people work in very close proximity to each other. 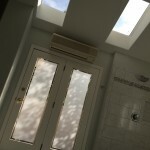 Natural lighting through windows is said to have a very calming and peaceful effect on our moods and emotions. Even increasing alertness and metabolism. Whereas lack of light (dark windows) and even poor artificial lighting can trigger depression, eyestrain and in some cases migraines. Spectrally Select Window films will reduce and/or retain the temperatures in an office building with little effect on the natural light that enters a space. Help keep your office staff upbeat and on task with window tint on the windows in your office in Colorado. Everyone wants the office with the large windows or the desk next to the large windows. In fact, the newest trend in energy efficiency is large windows that allow natural light into a space. Large windows help eliminate the need for a lot of artificial lighting which can help with energy savings. Typical office windows block most UVB rays. Which is why normally you won’t get a sunburn while sitting at your desk. What about UVA rays? Typical Clear glass only blocks a small portion of UVA rays through, so even if you don’t feel you are getting sunburned, your skin may still become damaged (American Cancer Society). UVA rays are the most intense because they penetrate deep into the skin’s thickest layer. This can lead to premature aging, wrinkling, and even skin Cancer. So while the natural sunlight may brighten your mood, UVA rays are d amaging your skin and possibly even suppressing your immune system. Window film on the windows in your office will reduce at least 99% of UVA and UVB rays. Helping eliminate the risks of Skin Cancer, premature aging and in some cases even depression! Another potential problem with the coveted window seat is Glare. Too much glare on your computer screen can cause issues with workflow. Some may think blinds is the only answer. 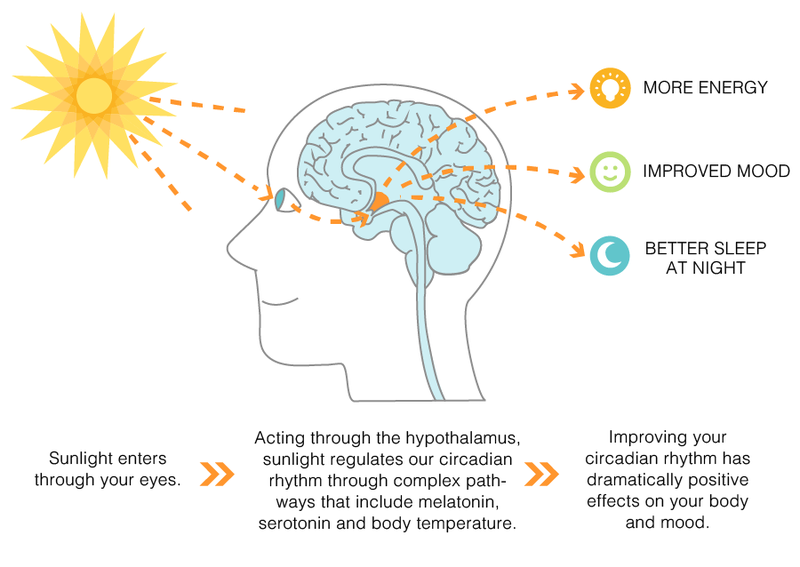 Since we have already determined that sunlight can affect your mood. Closing yourself in with blinds can make for a long, unhappy day. Window tint on the windows in your office can help eliminate the need for blinds by reducing the harsh sunlight to a more comfortable level. Window film will allow you to continue to enjoy your view and still be able to actually see your computer screen! 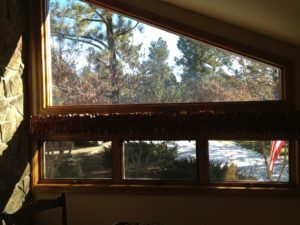 Window film for the windows in your office building in Colorado doesn’t have to be dark and reflective to help with your sun problems. 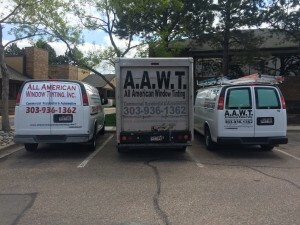 AAWT is the expert Office window film company in Colorado. 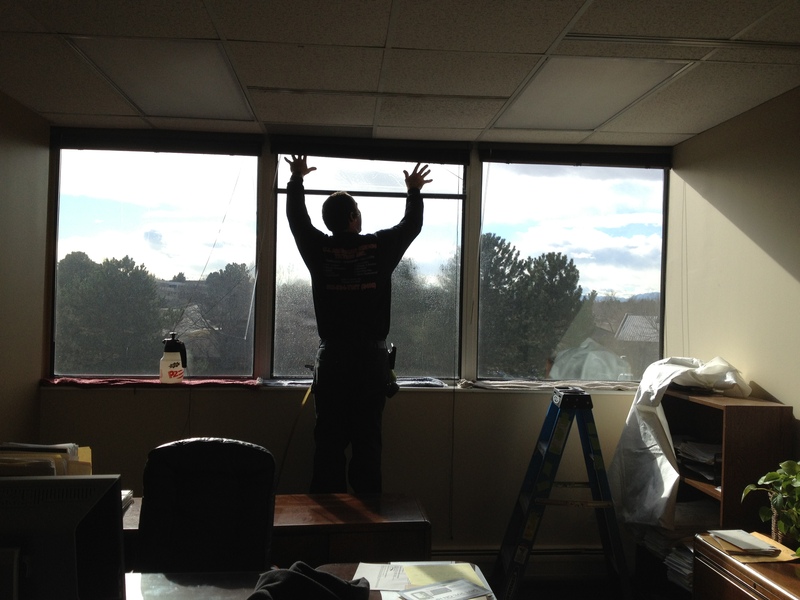 We realize that window tint for offices is not one size fits all. Our accredited Advanced Solar Control specialists will help you determine the best window tint options for your building. No matter the problem the sun is causing, we have the solution. No job to BIG, no job to small! Give the best Commercial window tint company in Denver a call, 303-934TINT(8468) or 303-936-1362. 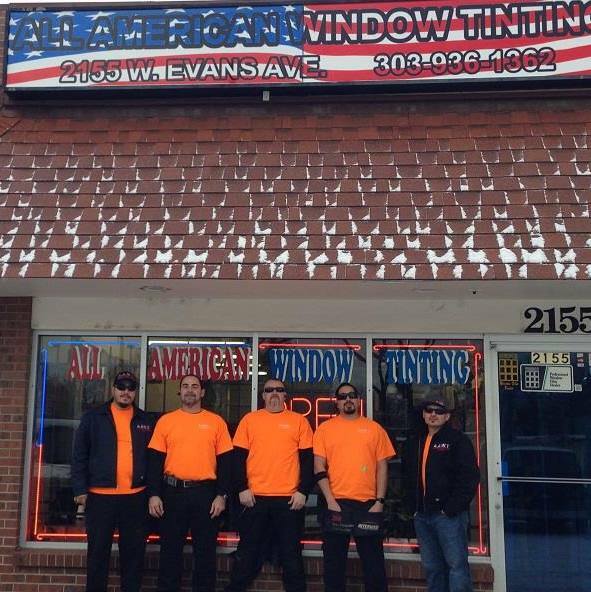 All American Window Tinting has been serving Colorado since 1993! Window Tint is “sunscreen” for your windows! Window Tint on your car, home and office windows has many more benefits than just reducing heat and glare and providing privacy. Think of Window tint as a sunscreen for your windows. In the Winter month’s most people don’t think about sunscreen but you should. 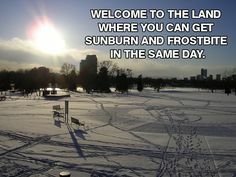 It’s cold, it’s snowy and you don’t think the sun is causing much damage. 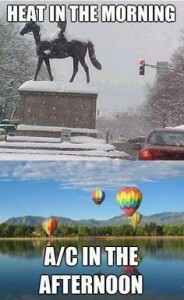 In Colorado, we get over 300 days of sunshine a year. So even though it is chilly outside, the sun is still shining brightly. If you stand in the right spot you can actually feel the warmth from the sun. We get the best of both worlds but we also have a bit more to worry about because we get so much sunshine and we have a higher altitude. In high altitudes and in winter months, the sun’s UV rays are actually increased. Exposure is increased because of the decreased atmosphere and because the sun’s UV rays reflect and/or bounce off the snow and back at you. That means those damaging UV rays actually hit you twice! 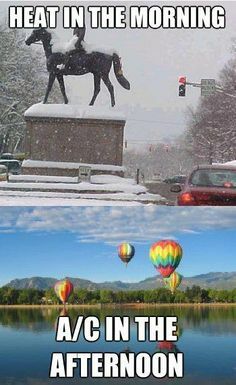 Double Whammy, Snow Burn! When elevation increases so do the sun’s strength. 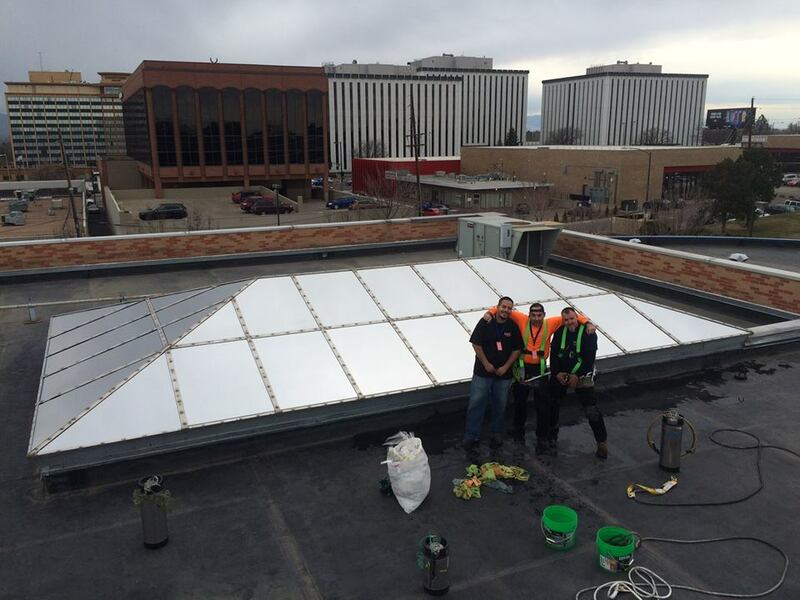 The thinner atmosphere absorbs fewer UV rays, allowing them to pass through to the Earth much easier and with much more power, this greatly increases the risk of exposure. When living or vacationing in high altitudes, it is extremely important that you take extra precautions to protect yourself from the sun’s harmful UV rays. 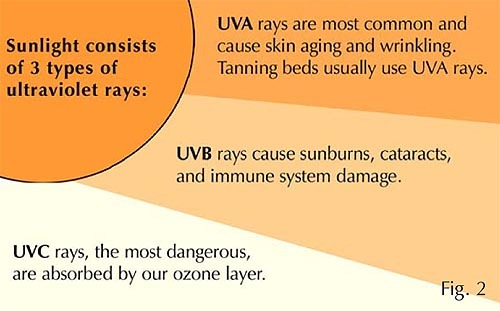 UVA rays, account for up to 95 percent of UV rays that reach the Earth’s surface, they penetrate deeper into skin, cause wrinkles, and are the culprit for melanoma, the deadliest skin cancer. Many places have an abundance of snow in the Winter months. 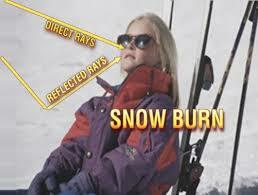 When the sun’s UVA rays bounceoff the snow it creates an effect similar to being at the beach. These rays can be very intense and act the same throughout the year penetrating clouds and yes, even glass. Even just a few minutes of sun exposure during the day can wreak havoc. Not only on your skin but on the Interiors of your Home, Office and Car. Over time those minutes add up and can cause noticeable changes to the skin, such as freckles, age spots, spider veins on the face, blotchy complexion, and fine wrinkles. 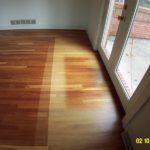 Also causing cracking to car interiors and fading on floors and furniture. From repeated exposure to the sun’s harmful rays, this photo aging process is inevitable and the only way to prevent it is by shielding yourself from the sun. Use a stronger sunblock during the winter months and in higher altitude and apply a window tint on your car, home and office windows. The most n eglected area of exposure to the sun is glass! Many people feel that their glass alone is enough protection from the sun’s harmful rays. This is absolutely WRONG!. Glass can actually magnify the effects of the sun most notably called the greenhouse effect. It can make a home, office and car interior even hotter. The UV rays are still permeating inside and are coming in contact with you and the things you love most. Protect yourself from the damaging rays of the sun with window film applications on your home, office or vehicle. Window film can block up to 99% of UV rays! With the application of window tint you can be confident you are receiving the protection you need all year round. All of the window tint options we carry reduce 99% o UV rays. Helping significatnly reduce the risks from sun exposure. You don’t have to blackout your windows to receive these benefits. Limo tint, reduces the same amount of UV rays as a 85% film. Take preventative action now, you can never be too safe, make the necessary changes to protect yourself and your loved ones against UV rays passing through your glass. At All American Window Tinting, Inc., we provide professional window film installations for your home, office or vehicle. 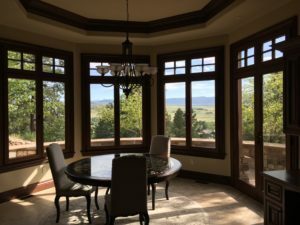 Take advantage of the benefits that window film has to offer and call our office today at 303-936-1362 and start protecting the things you love most! Don’t be a Victim of Smash and Grabs! Smash and Grab Burglaries have been making the headlines lately. Don’t become a victim! Safety and Security film can help protect people AND property! Smash and grab burglaries catch the victim by surprise and happen quickly. It can happen Anytime, Anywhere and to Anyone. The perpetrators could be experienced thieves or impulsive vandals. They break a window (Smash) and take all the valuables they can as quick as they can (Grab). Even an alarm isn’t going to do much to prevent a Smash and Grab burglary. By the time the authorities are notified the burglars have already made off with as much as they could take. We have a solution to help prevent this types of break ins from occurring. 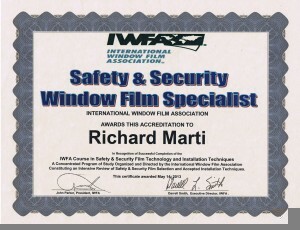 Safety and Security Film. 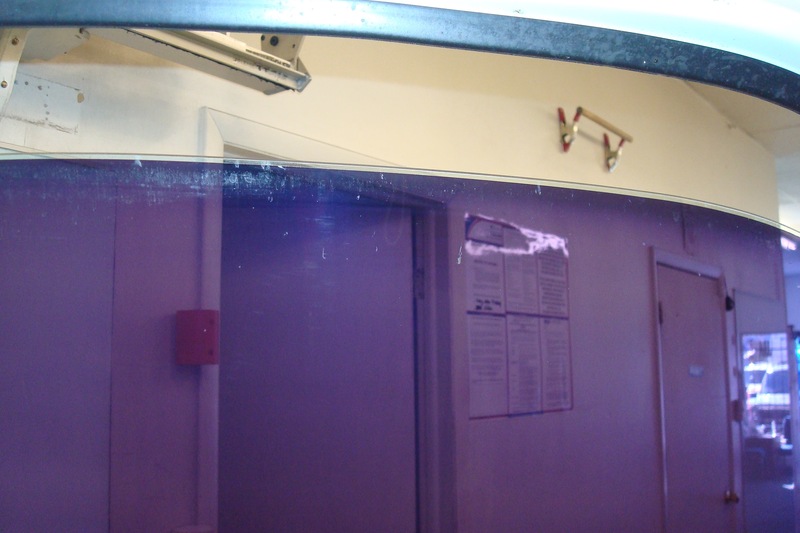 Safety and security film is sometimes called Shatter resistant security film or safety film. Sometimes it is even called glass fragment retention film. This material is an optically clear, multilayer, polyester film that bonds to the inside of the window to reinforce the glass and help hold it in place upon impact. The polyester material has a high degree of elasticity which helps make it more resistant to a quick and easy break of the glass. Making it more difficult to break the glass will delay the time the would be robber has to enter the premises. 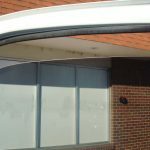 Safety and Security film can be installed a couple different ways. The first is installed on the daylight area of the glass. 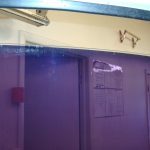 Which means the security film will only hold the glass together and in the frame as long as some of the glass edge remains unbroken along the line where the daylight part of glass meets the frame. Once the edge totally breaks the film and broken glass will come out of the frame. The glass will still stay together with the film but it will break away from the frame. This application is used mostly to bring annealed glass to code. Right Side complete with Wet Glaz. Left side taped off and ready for application. The second type of application is anchoring the safety and security film to the window frame itself using a silicone adhesive Impact Prevention Adhesive. This is called a Wet Glaz Attachment System. The film becomes a flexible membrane holding the glass together and in the frame upon impact. Using an Impact Prevention Adhesive will be the more affective installation when trying to prevent Smash and Grab Burglaries. Safety and Security film is available in Clear and Tinted. Both options will reduce 99% of UV rays. Tinted Safety and Security film will have the added benefits of privacy and helping lower your energy costs. Clear safety and security film is just that, CLEAR! You will hardly notice it is there. We can help you decide which option is right for your project. It’s better to be safe than sorry! Give us a call for your free onsite consultation. 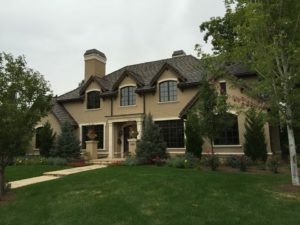 All American Window Tinting, Inc. cannot express enough the importance of protecting yourself and your loved ones against the effects of the harsh Colorado sun. Implementing a window film or window tint in your car, home and office is one important step you can take to help prevent Skin Cancer. 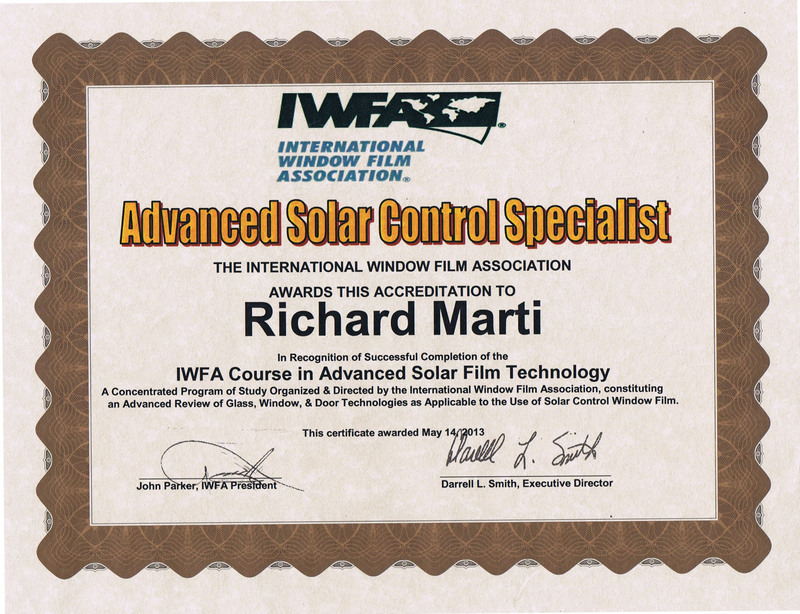 Coming from a 25 year veteran in the window film industry (Richard Marti, president and founder of All American Window Tinting) has devoted his life to the fight against skin cancer. Most window film and window tint products reduce 99% of Ultraviolet Rays. 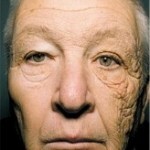 Ultraviolet Radiation (UV) from the sun is the number-one cause of skin cancer in the U.S.
Truck driver for 28 years. Dramatic difference on left side due to sun exposure. 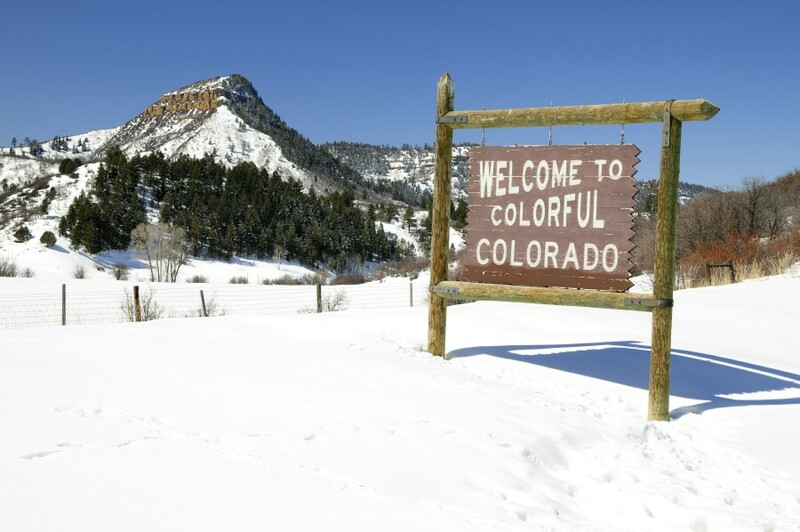 With over 300 days of sunshine a year and our mile high altitude, Colorado residents have an even higher risk of developing skin cancer if proper precautions are not taken. You may not realize this but simple every day tasks can leave you at risk. 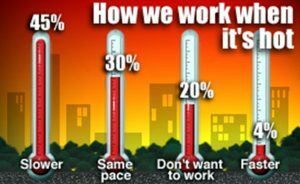 Commutes to work are getting longer leaving you exposed to UV rays on the left side of your body for a longer period of time. Over time the exposure to the sun on the left side will begin to age quicker and you may notice sun spots, freckles and even premature aging. 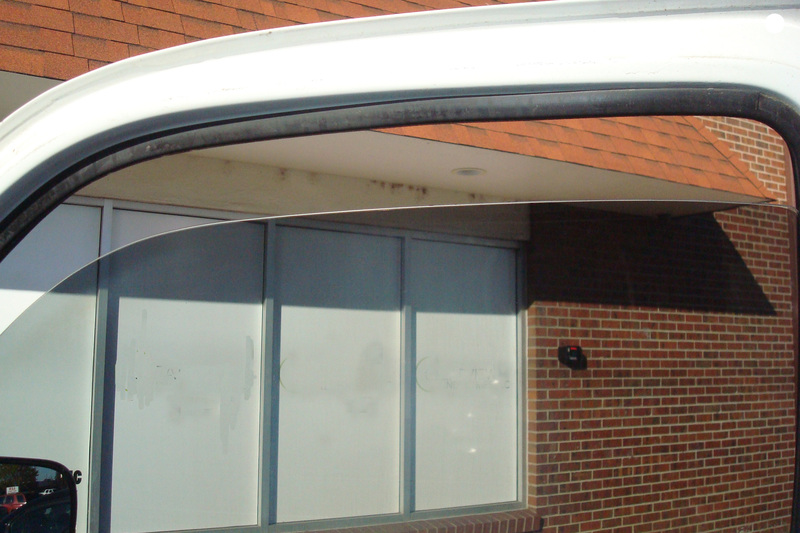 This can be prevented when implementing window film on the windows in your vehicle. The newest trends in building construction for office spaces and homes is floor to ceiling windows. Those big windows allow you to admire the views of our beautiful state but they leave you and your loved ones at an even higher risk for Skin Cancer. With no window film on your windows UVA rays are still penetrating through the glass directly onto you. Most clear glass allows up to 75% of UVA to pass through the glass (Smart Skin Care Article). Window Film applied to your windows can reduce up to 99.9% UVA and UVB rays. Even the Winter months in Colorado leave us at risk because the snow acts a reflector making the sun rays more intense as they bounce off the fresh white snow. Window film can help reduce glare, retain and reduce heat and help prevent Skin Cancer by reducing 99% UV rays. Skin Cancer is preventable. 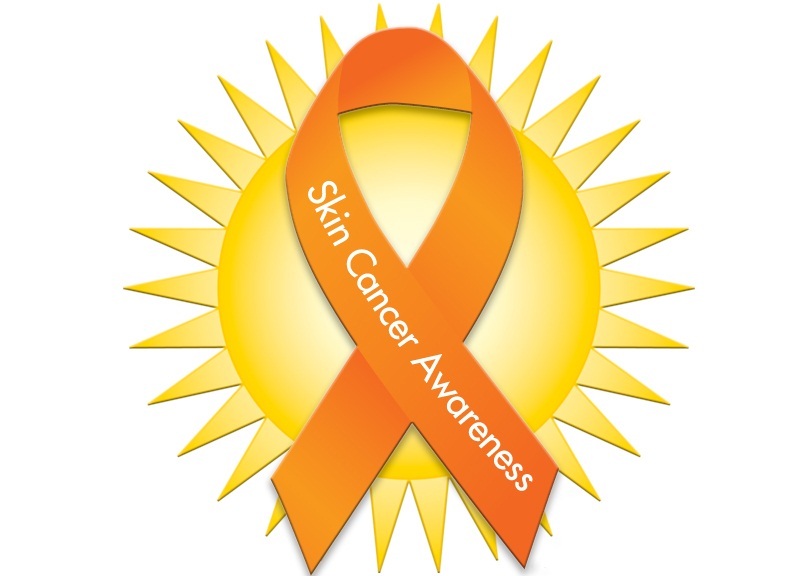 However, the number of people in the United States diagnosed with some form of skin cancer continues to grow. 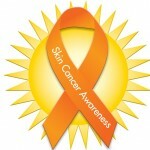 One in five people will be diagnosed with Skin Cancer. Applying a sunscreen every day is one way to help protect yourself. Applying a window film to your windows is another. When you apply window film to the windows in your car, home and office, you are reducing at least 99% of harmful UV rays which lowers your chances of being diagnosed with Skin Cancer tremendously. In closing, Richard Marti knows first hand how important it is to protect yourself and your loved ones from the life taking effects from the sun, as one of his family members is currently going through treatment for Skin Cancer. It is a scary subject but one that needs more attention. Take the steps to help ensure you and your loved ones won’t be one of them. Give us a call for a free quote for your automobile or a free onsite consultation for your home or office. At All American Window Tinting, Inc, every team member counts! Our team works together to collate individual duties and information in order to ensure proper utilization. This collaboration keeps our crew in unison; making way for optimal execution of daily tasks. We are sure to deploy these objectives everyday to be certain that only the best customer service, quality, and craftsmanship is provided to each individual that comes our way. Efficiency in teamwork is what sets us apart from the rest! When quality teamwork is implemented in the workplace, errors are diminished greatly. Each team member possess a unique ability which means each area of work is provided the proper focus and attention from the expert completing it. Ensuring an expert installation on each service provided. When proper teamwork ethics are utilized, a ripple effect occurs. More customers are satisfied in turn creating more referrals for future projects. 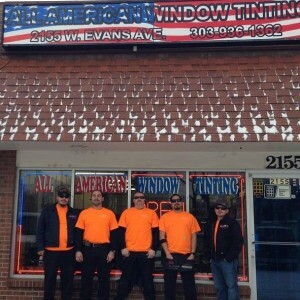 Our team at All American Window Tinting, Inc. has proven to be our greatest asset. 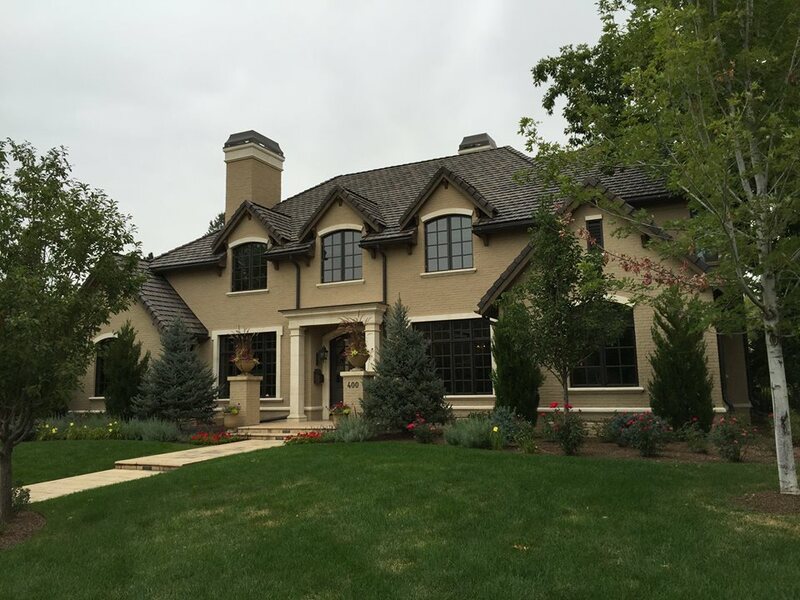 When we come together to complete a project, customer satisfaction is our number one priority and the results from our efforts is nothing but perfection. Our motto is no job to big, no job to small, Together we accomplish all! Lets face it at some point of time we all fall victim to burglary of a car, home , or even a business that we own. We wake up, grab our coffee thinking it is going to be an average day, when suddenly you find a bashed in window and stolen belongings. Ouch, this certainly does not make your day and can be quite a frustrating process. It could happen anytime of the day , anywhere, to anyone. I know you may be thinking it won’t happen to you but anything is possible. There are some things here at All American Window Tint (A.A.W.T.) can do to help keep your belongings safe. We we do offer a multitude of security films to help protect your property as well as the belongings inside. Some of your belongings simply cannot be replaced so some preventative measures can be taken. When a thief breaks into a vehicle, business, or home it can be because they can see something inside they know may be of value. Applying a privacy window film can be helpful making it nearly impossible to see what is behind the glass. This keeps the thief from seeing if there is something worth breaking that window for. However privacy may not be enough. 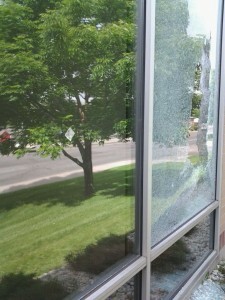 When a window gets broken shards of glass go everywhere and it is dangerous. The risk of someone getting cut or hurt is likely and can also cause damage to the anything else inside such as furniture. So what can you do? 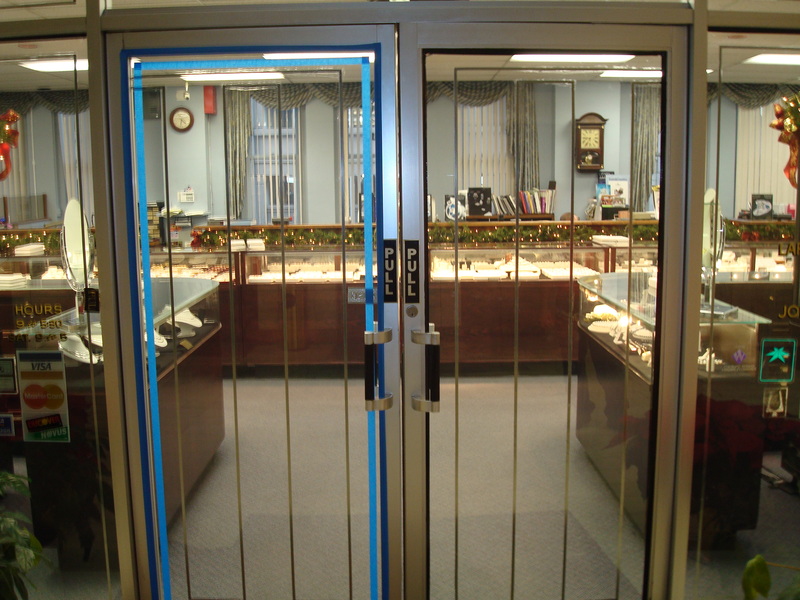 You can apply a security film to the glass and this helps keep the glass from shattering. So here is how the security film works. It is applied to the window. It functions as a multi function film. It creates not only privacy and protection, but also helps keep the glass from shattering all over the place if broken. When someone comes along and tries to take a hammer for instance , to the glass , it makes it much more difficult for entry. Many hits usually have to be made in order to enter at a very strong force however this causes a delay and cuts the time that the thief has to obtain the goods they may be going for. So with todays world, most vehicles, homes, and businesses have alarm systems. Once the glass is hit the alarm goes off giving the person trying to break in only seconds to do their job. The security glass makes this a problem and adds a lot of time to the clock when trying to enter. We offer a variety of security films here at All American Window Tint which are made up of a micro layer construction coated with a thick adhesive designed to hold broken glass. This improves safety and security for any home, vehicle, or business. 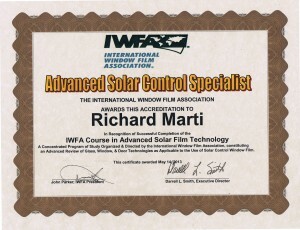 Other benefits to this film include; heat rejection , reduces fading of belongings inside the film, and glare reduction. 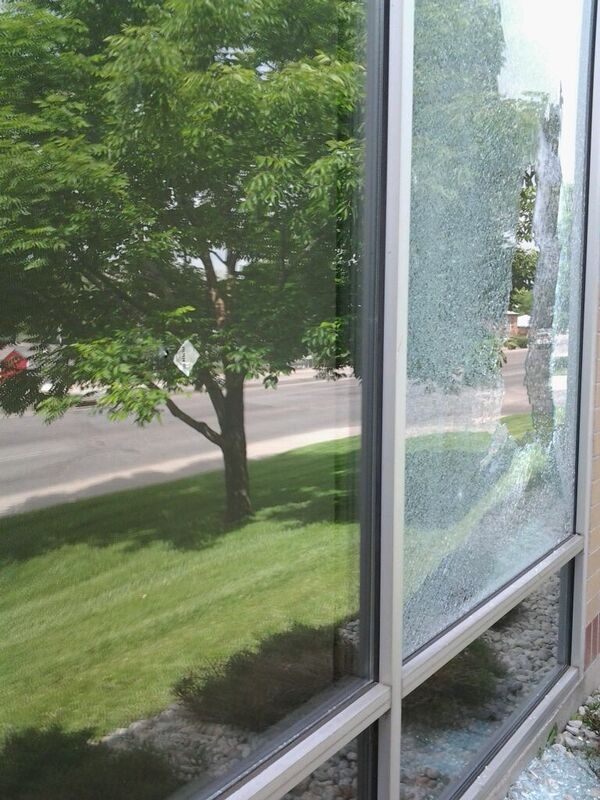 These windows are GSA approved and we offer level I, II, 3A, 3B blast mitigation (bomb blast film). So contact us today to let us help you protect what is yours and what you love. Things behind the glass are our most prized possessions. We will be happy to provide a free consultation with an on site estimate. 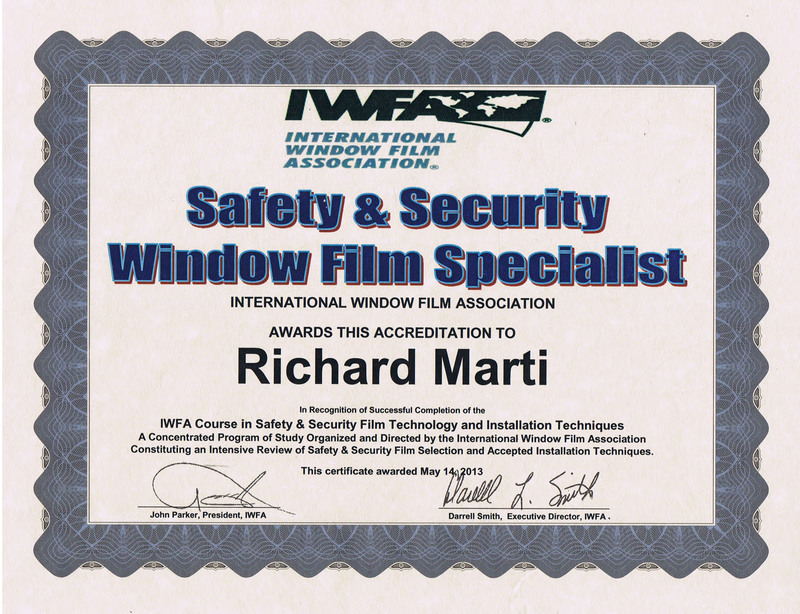 We are an accredited safety and security specialist through International Window Film Association (IWFA). 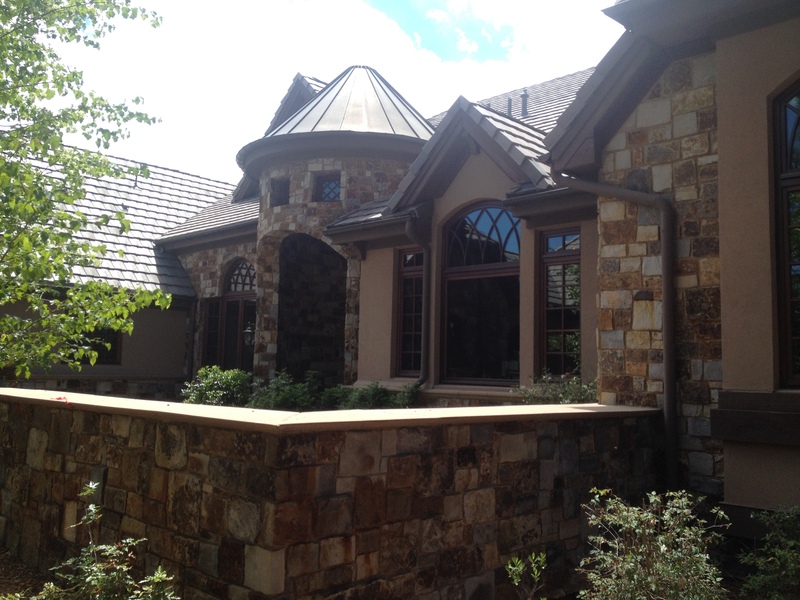 Here is a link to our website directly : http://www.allamericanwindowtinting.com/security/ for more information.